Hitler and the Third Reich led Europe into a decade of terror in the first half of the 20th century that culminated in World War II. Technology played a greater part in that war than in past conflicts and the Germans developed an amazing array of secret weapons in a short time. Were flying discs part of the Luftwaffe arsenal? And if so, was this secret looted and used by the Allied victors after the war? More than any war before it, World War II was the war of secret weapons. A few of these advances, like the American atomic bomb and the British ability to crack the German communication ciphers may have actually tipped the outcome of the conflict. The Axis powers also had their secrets and many of the most clandestine German war-time technical advances are now well known. A V-2 rocket ready to launch. Hitler's forces flew the first military jet, the German Heinkel 178, in 1939. In 1943 the Germans also deployed the only jet fighter to go into regular service during the war: The Messerschmitt 262. This ME-262 could easily overtake the fastest Allied aircraft and only Hitler's misguided orders that the planes be outfitted as bombers instead of defensive fighters saved Allied aircraft from devastating casualties. Cruise missiles, a staple of current advanced arsenals, were also first used by the Third Reich during the war. V-1 flying bombs were launched from German-held territories across the channel into England. The "buzz bombs," as they were sometimes called because of the sound of their impulse jet engines, could outrun most Allied aircraft, making the V-1's almost impossible to stop. The V-1's weakness was its guidance system (a problem solved in modern cruise missiles by the use of computer-controlled radar). Because it couldn't hit a pinpoint target, the V-1 could only be used to cause random terror and not zero in on truly important military assets. 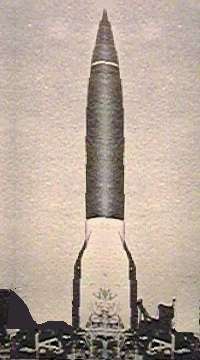 The German V-2 rocket was the predecessor of the intercontinental ballistic missiles (ICBMs) that filled the nuclear arsenals of the Soviet Union and the United States during the Cold War. It traveled up to 225 miles at five times the speed of sound and a single hit could demolish a city block. During the war, the V-2 killed 2724 civilians and injured another 6467. Like the V-1, though, it lacked a guidance system that would have allowed it to effectively strike at important targets. Hitler's engineers even developed a rocket-powered fighter, the ME 163. Though it only saw limited service and was never very successful as a fighter, it was the first aircraft to fly faster than 600 miles an hour. After the war, rumors surfaced that the Nazis had one more secret weapon that was still hidden: flying disc-shaped aircraft. According to these stories, some of the victorious Allied nations had plundered the German laboratories where these aircraft were being developed and secret testing of these devices explained many of the reports of flying saucers that appeared in the United States and the Soviet Union in the 1950's. 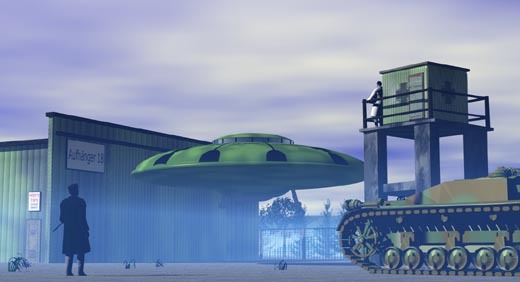 Many of the reports of Nazi flying saucers can be traced back to a book entitled German Secret Weapons of World War II written by Rudolf Lusar in the late 1950's. Lusar had been a major in a German army technical unit during the war. His book covered many of the acknowledged advances like the V1 and V2, but also included a chapter on "Wonder Weapons." According to Lusar, a German aircraft designer named Rudolf Schriever, along with other engineers Habermohl, Mierth and Bellanzo (who was Italian), were working on several disc-shaped aircraft toward the end of the war. At a facility near Breslau, Poland, a group headed by Miethe constructed a prototype of a circular air vehicle 137 feet in diameter with an elongated hump on top for the cockpit. The aircraft was to be powered with "adjustable jet engines." In Lusar's account, the device was destroyed when the plant where it was being constructed was blown up by retreating German troops before it could be overrun by the Soviets in 1945. At a second location just outside Prague, Czechoslovakia, according to Lusar, another group headed by Schriever and Habermohl were working on an additional disc aircraft. Diagrams included in the book show a central egg-shaped control pod surrounded by a nearly flat disc. The flat disc appears to be composed of fan blades that rotate to create lift. Ports on the lower part of the pod appear to be connected to jet engines that provide the forward propulsion. Lusar states that the Schriever machine was tested in 1945 and supposedly reached an altitude of 12 kilometers (39,000 feet) in a little over three minutes. He continues by saying it had a top speed of 2000 kilometer an hour (1,200mph) - substantially faster than the speed of sound. These claims seem somewhat incredible. According to conventional history, the first aircraft to break the sound barrier the X-1, an American rocket-powered plane in 1947. It seems unlikely that Schriever's group would have been able to make such a drastic leap in performance so early and so quickly. In addition, comments from Schriever himself, who relocated to the United States after the war, indicate that any prototypes of the craft were destroyed before flight test as the Germans abandoned their facilities in the face of advancing Allied troops. According to Lusar, the Germans' had also developed small automated, unconventional aircraft. One version was called the Feuerball while another, capable of vertical takeoff, was referred to as the Kugelblitz. According to stories, these craft were only armed with devices designed to guide them to allied aircraft and interfere with their electronics and engines. The Feuerball and Kugelblitz stories seem to parallel tales of "foo-fighters" told by Allied pilots during the war. Despite this, it seems unlikely that Feuerballs and Kugelblitzs were ever actually built or flown. The "foo-fighters" observed were probably some purely natural phenomena. No Allied plane ever reported being attacked or disabled by a foo-fighter and it is likely that if the Germans had invented a device capable of tracking planes as well as the foo-fighters apparently did, they would have soon armed it with more effective weapons. Nick Cook, a respected aviation journalist for Jane's Defense Weekly looked into the claims for German flying discs in his 2001 book The Hunt for Zero Point. Cook became interested in unconventional aircraft after seeing some articles written in the 1950's that quoted respected experts of the era, like Lawrence D. Bell (whose company designed the supersonic X-1) predicting that the next major breakthrough in aviation could be anti-gravity devices. His research led him to Lusar's book and the stories of German flying saucers. 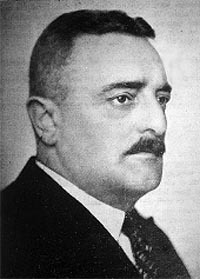 Cook was perhaps one of the few aviation writers that was willing to take the "Legend" of German flying saucers seriously. While researching his book he visited many of the locations mentioned in German Secret Weapons of World War II. He also connected the stories of the German saucer designers to the work of a man named Victor Schauberger. Schauberger was born in Austria in 1885 and was considered by many to be a crackpot. Schauberger himself is quoted as saying, "They call me deranged. The hope is they are right..." While his professional training was as a "forester," Cook, after visiting the Schauberger's grandson and examining his papers and the machinery he had constructed, concluded that Schauberger was actually more of an engineer. Schauberger believed that machines could be designed better so that they would be "going with the flow of nature" rather than against it. One of Schauberger's projects was to produce a flying machine, saucer shaped, that used a "vortex propulsion" system. His theory was that "if water or air is rotated into a twisting form of oscillation, known as a 'colloidal,' a build-up of energy results, which, with immense power, can cause levitation." According to some accounts, Schauberger built several models, one of which was almost five feet in diameter and was powered by a 1/20 hp electric engine. Some reports indicated that one of the models actually flew. In an echo of the story of the Schriever disc, Schauberger wrote to a friend that a full-sized prototype of one of his designs was constructed using prison labor at the Mauhausen concentration camp. This craft flew on February 19th of 1945 near Prague and obtained an altitude of 45,000 feet in only 3 minutes. The letter goes on to say the prototype was destroyed by the Nazis before it could be captured by the Allies. Cook concluded that if the stories about Schauberger's work were true, his devices must have created an anti-gravity effect. Cook even visited a location in the remote Sudeten Mountains in Poland where antigravity experiments were supposed to have taken place using a bell-shaped device that glowed a pale blue when operating. The "Legend" of German flying saucers is fascinating, but is any of it true? It certainly seems likely that there was some experimentation with the concept within the Reich, as there was in the United States. Disc-shaped aircraft have several advantages, including low stall speed and low drag, even at high speeds. The rounded shape can also lower the craft's radar profile making it "stealthy." The low stall/drag of the shape would have been particularly interesting to the Germans at the end of the war. Months of bombing had reduced German runways to rubble. A saucer-shaped craft might have been able to lift off the ground with a short runway or even do a vertical-takeoff-and -landing with no runway at all. In his book Cook concludes that Nazis flying saucer technology was appropriated by the United States and the Soviet Union at the end of the war. This suggestion is not wholly without merit, since it is now clear that US and USSR rocketry development in the 50's and 60's owed a lot to German scientists. These engineers, quietly brought into the United States via operation "Paperclip," assisted the United States in its space program and its Cold War struggle against the Soviet Union. 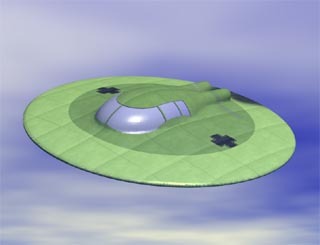 Similarly, according to author Jim Wilson in an article in Popular Mechanics in July 1997, there are records that suggest at least two people, brothers named Walter and Reimar Horten, were sought by the United States after the war because of their participation in German military saucer programs. It is clear that at least some of the Nazi saucer lore developed after the war, rather than during it. In his book, UFOs: Nazi Secret Weapons? author Ernst Zundel claims that Hitler escaped at the end of the war to establish a flying saucer base in Antarctica. 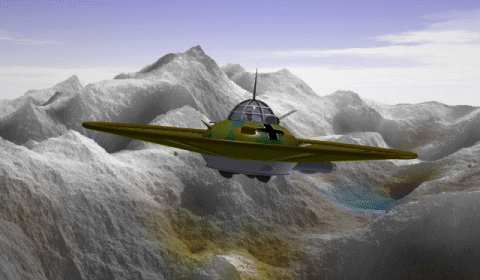 Zundel's tale is connected with the discredited idea that the earth is hollow and the interior can be accessed from the polar regions. As colorful as such stories are, they are so far afield from reality that they can't be taken seriously. In contrast, Cook's assertion in The Hunt for Zero Point that antigravity technology was spirited out of Germany at the end of the war doesn't seem all that far-fetched. It is difficult to believe, however, that such advanced knowledge, if it really worked, would not have shown up in the intervening 60 years in U.S. military equipment or through the NASA space program. The ability to shield an object from gravity, if it could be done, would greatly decrease the cost and difficulty of putting objects into space.